Echocardiography has become an essential technology and is utilized by the majority of pediatric cardiologists. It serves as an indispensible tool in the diagnosis and treatment of congenital heart disease. It involves mastering a complex skill set made up of two key components: procedural echocardiography and interpretive echocardiography. The goal of this website is to provide a background in interpretive echocardiography in the setting of basic and complex congenital heart disease. Congenital heart disease (CHD) is a spectrum of disease from a small hole in the heart to very complex congenital abnormalities. Training physicians and sonographers in echocardiography is a challenge. Cardiologists are expected to not only master a procedural skill, but they are also faced with the challenging task of interpreting those images. Because some types of CHD are quite rare, it is often difficult for trainees in smaller institutions to get exposed to these rare variants. To provide comprehensive training in interpretive echocardiography. To expose trainees to all variants of congenital heart disease and their subtypes. To provide a better understanding of normal echocardiographic anatomy. To allow an interactive approach to reviewing and identifying echocardiographic examples of normal anatomy and congenital heart disease. To ultimately allow for better identification of cardiac pathology in the clinical setting. This website is meant to serve as an online learning resource for medical students, residents, cardiology fellows, cardiologists and sonographers. It provides a comprehensive echo imaging database of fetal and transthoracic echocardiography. In addition, three introductory learning modules (normal anatomy, atrial septal defects and ventricular septal defects) are offered along with with pre and post testing to assess the user’s baseline knowledge and improvement following completion of the online learning modules. All answers and scores on the pre and post test are provided to the user upon completion of the post test (the post test becomes available once all views from all three modules have been viewed). Center for Collaborative and Interactive Technologies (CCIT) team through Baylor College of Medicine (Michael Fordis, MD; Anne Perch, MBA, CHCP; Doug Alexander; Tony Adams; Kevin Musgrave; and Jason King, PhD). A special thank you to Dan Penny and the entire pediatric cardiology department at Texas Children’s Hospital for your support and guidance. Please contact Dr. Josh Kailin at j_kailin@yahoo.com should you have any feedback, comments or questions regarding this website. This website was made possible through an educational grant provided by Texas Children’s Hospital Center for Research Innovation and Scholarship in Medical Education. We would also like to acknowledge and express our sincere gratitude to the entire CCIT team for assisting in its development. The use of this website and its learning modules provides trainees with a better understanding of the anatomy and physiology of congenital heart disease and an improved recognition and interpretation of all CHD lesions. 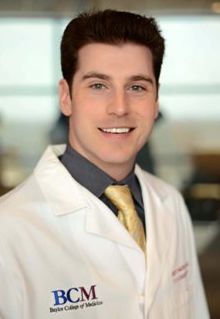 This website was created by Dr. Josh Kailin. Dr. Kailin is a faculty member and assistant professor of pediatrics at the Baylor College of Medicine. He is a pediatric cardiologist at Texas Children’s Hospital in Houston, Texas. His area of expertise is in non-invasive imaging. Dr. Kailin performed a pediatric cardiology fellowship at Denver Children’s Hospital and spent an additional year of training in non-invasive imaging at the Sibley Heart Center at Emory University.